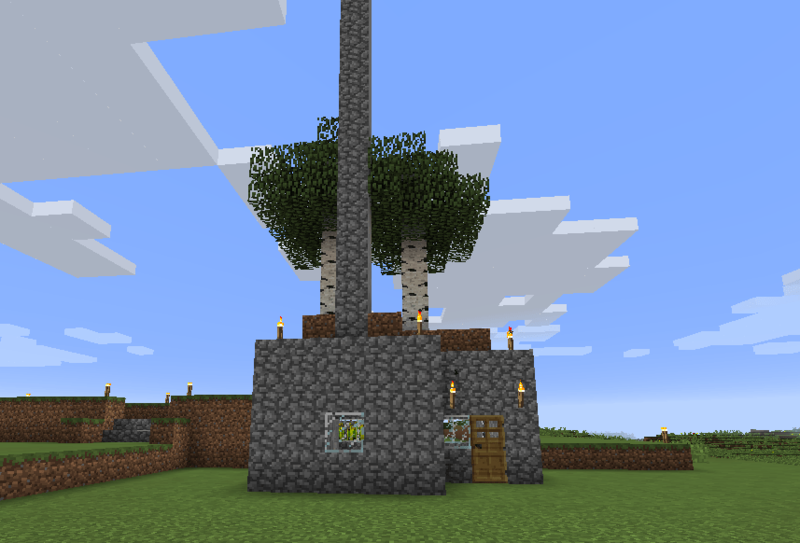 For various reasons, I’ve started new Minecraft games since I started playing the game earlier this year. Some of it has been experimentation with biome sizes, cheats, and so forth. A few times, I’ve died several times in a row on a map and been so frustrated that I wanted to start from the beginning. Or perhaps I wanted to take my chances seeing what biome I’d start in. Whatever the case, I’ve got any number of games on the go, but I generally am not one to go back to previous saves of games for whatever reason. Today however, I decided I wanted to go back to my first world. 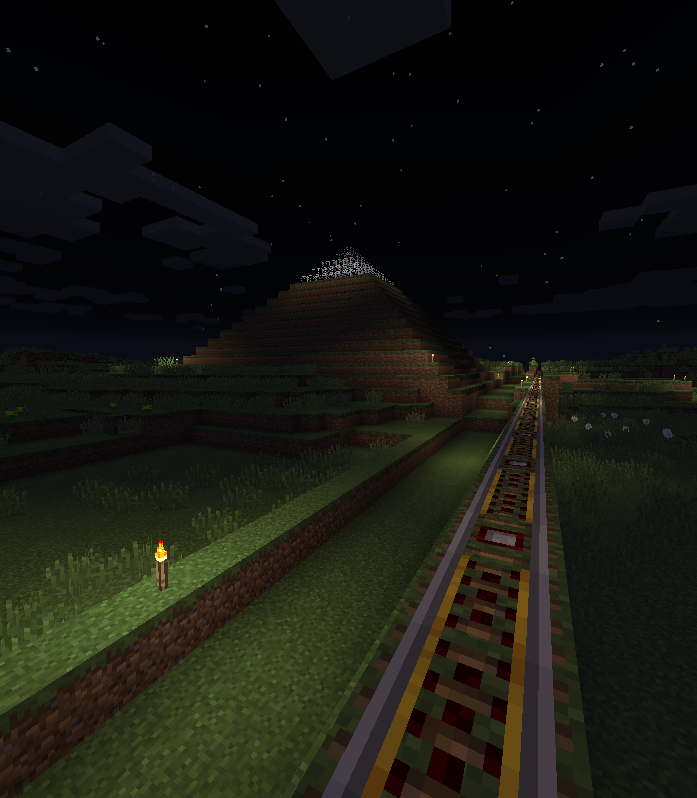 In spite of several deaths, I’d kept the map because my husband had built a fantastic pyramid in the world. It’s also semi-decently networked between several houses, though they’re all so close as compared to my homes in later maps as to be laughable. I’d get slightly out of sight of one structure and then panic that I was lost forever. Now, coming back to my first game is a bit like coming home (*rimshot*). I was surprised to remember where things were in the world, and that I also remembered correctly how lacking in basic supplies. In returning to this game, I’m taking skills I picked up in other games and applying them, which is great! My initial house is over a huge cave complex, so there’s lots of resources to gather now that I know the best way to dig down and get them. My previous attempts kept having me fall in lava and dying, which is part of why I strayed. As my eldest repeatedly asks me, ‘Mommy, do you like lava?’ No child, I emphatically do not. One thing that makes me feel really happy about this homecoming is that I found a donkey. Donkeys and mules can be equipped with chests, meaning additional storage when exploring. You can string as many as you want on leads behind you. Suffices to say, I’ve been trying to find one in any game to make my exploring a bit easier; no matter the game, there is never enough inventory/storage to work with. I’m not sure how I’m going to get them down into my current locale, ’cause it requires busting out doors and the like, but we’ll see. I’m pretty good at managing what inventory space I do have, but it’s nice to have a bit of flex.